RAASM is on the Giornale di Vicenza: once again, attention to the environment respected in the manufacture of products merges with that for the territory around the company. Because ecology means the future and progress for everyone. 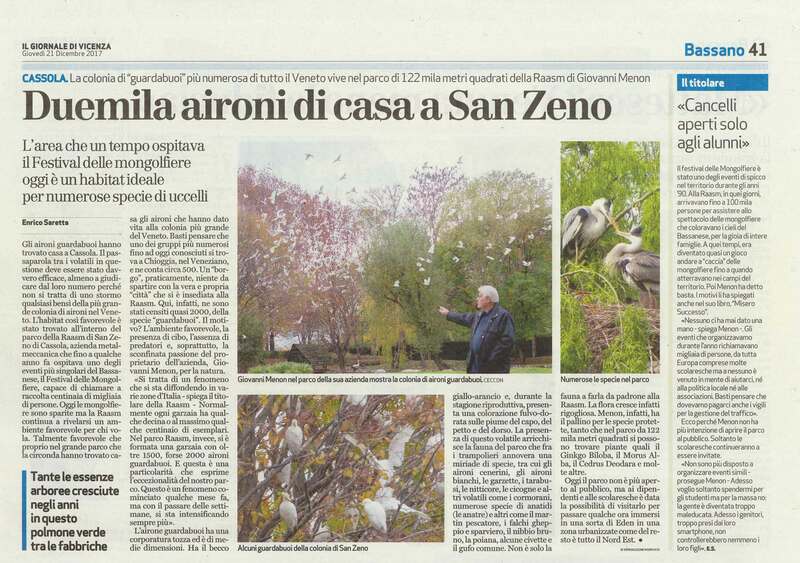 Read the article on the Giornale di Vicenza online, or download here. More information is available in the previous news dated 11/15/17.